FoxFone is a comprehensive broadband VoIP phone service delivered via your high-speed Internet connection which will save you money, deliver outstanding digital quality, and provide numerous features. You may keep your existing telephone number and use your broadband Internet connection to avoid the rising costs of traditional phone service. Fox Valley Internet is excited to announce the latest addition to their suite of products. VoIP services allow you to send voice data over your broadband connection. By connecting this service to your existing telephone wiring you can use this service to make and receive calls! Call 847-742-4623 to find out more about FoxFone - Fox Valley Internet's Voice Over IP product. How does FoxFone Work? With FoxFone, you connect your telephone to your high-speed Internet connection using the Fox Fone adapter. Pick up the phone, and use it just like you do today. You can be up and running within minutes of receiving your FoxFone adapter. The switch to FoxFone is easy...you'll save money, enjoy better quality, and more features. You can even keep your current phone number (where available) or get a brand new number - the choice is yours. Keeping your number may not be possible in every situation. It may be outside the current FoxFone area, or your telephone service provider may potentially deny this request for various reasons (unpaid account charges, contractual agreements, etc.). FoxFone will make our best effort to help you keep your existing number. Call Blocking is a service that prevents calls from pre-selected numbers, or a "Call Block List" which you control. Call Blocking lets YOU decide which calls to block. Add as many phone numbers you desire. With Call Blocking you no longer have to regret answering the phone. Whether you utilize a phone with a Caller ID screen or not, every call that comes in contains Caller ID info. This feature denies ANY call that does NOT contain Caller ID information or is blocked by the caller. Many telemarketers do not pass Caller ID info and would therefore be blocked from ringing through to your telephone. FoxFone Call Return, also known as *69, returns your last incoming call automatically. Just dial *69 and your FoxFone service will dial back the last call made to you. You can check your voicemail through your FoxFone phone,as you'd expect with traditional services. You can also access your voicemail via email and play the recordings back through your computer via a sound (.wav) file. You can forward voicemail to others as an email attachment, or save voicemail to your hard drive. Most media player formats are supported. Check your voicemail by phone across the country. Turn features on or off anytime. Activate email notification at the touch of a button. Record greetings for different hours of the day and different days of the year. Choose a new PIN for voicemail access at any time. With just a push of a button, you can dial an entire stored phone number instead of dialing 11 digits. 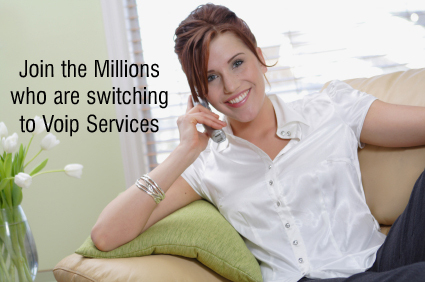 You may program up to 99 online speed-dial numbers! So your time is spent talking, NOT dialing. Caller ID shows you the number of the caller on a digital display on any Caller ID enabled phone or Called ID unit. While you're on the phone, a beep alerts you to another incoming call. With the right equipment, the new phone number will display on your Caller ID device. If you want to take the call, press the flash button or switch hook on your phone to enable Call Waiting. Calls that you don't answer will go to voicemail. The Call Hunt feature allows you to define up to 3 numbers for hunting purposes. Once a caller dials your FoxFone phone number, the system re-routes the call in specified hunting mode to try to locate you (1st number, 2nd number, 3rd number). If you don't answer the 3rd number, the call will be routed to your Voice Mail. Hunt numbers can be local, long-distance, cell numbers - virtually any phone number you specify - thus allowing you to roam your phone services nationwide. Call 847-742-4623 to get started with FoxFone!